We're 49 and it shows! Lynott Tours (rhymes with why not) was founded as a luxury travel company by Patrick and Betty Lynott. He was Irish and his wife was British. They began operating as an Irish tour operator in 1970, arranging tours for upscale travelers. Now Ireland & travel to Great Britain are synonymous with Lynott Tours. 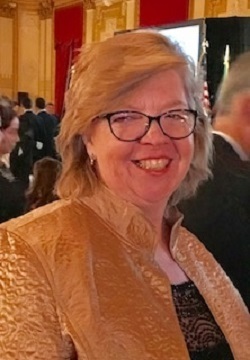 The Company was sold in 1983 to Ellen Mc Nulty, who became President. 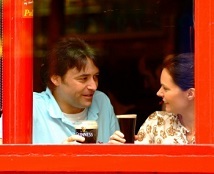 Ireland and Britain remain for us the most prominent tour programs. In 1987, the South Pacific was added to the product line, for two reasons: the ancestral links between Ireland and Great Britain with Australia and New Zealand. The Southern Hemisphere also offers the benefit of warm weather travel during the U.S. winter time. Since then, the company has grown to be one of the most trusted names in travel to not only Britain and Ireland, but Australia, New Zealand, Fiji, Papua New Guinea, and the rest of the South Pacific. 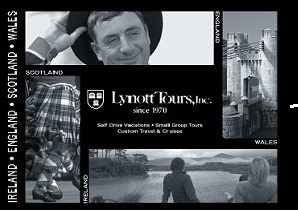 Customized special interest travel including private "inside" visits to places not normally open to the public and individual personalized tour planning are Lynott's forte. 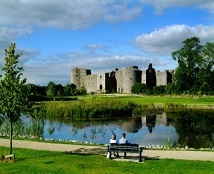 We are travel agents for Ireland and for Great Britain. Lynott Tours is a New York corporation, headquartered in Mineola, Long Island, 25 miles from New York City. The company coat of arms, a crest with three crowns is the shield for ancient Munster, in southwest Ireland. The company motto, "Deus Mihi Providebit" means God will provide for me. Lynott Tours counts more than 6,500 travel agencies, numerous museums, historical societies and corporations throughout the world as loyal clients. Among the thousands of satisfied passengers who have traveled with Lynott over the years. References may be obtained from any of the following: Tourism Ireland or Visit Britain. See reviews here. Lynott Tours - Serving the discriminating traveler since 1970. More flexibility to do just what you want. Stay from a few hours to 30 days. 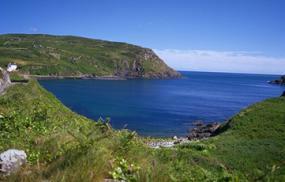 Choose from quality B&B's, working family farms, guesthouses, hotels, castles, manors and inns. Our choices include "hidden", off-the-beaten-path places, recommended by guidebooks, and by those "in the know". When you travel with Lynott Tours, youll travel with the confidence that you will stay at the best available properties in the region. Let us do the work. Pre-reserved itinerary planning assistance is available. Lynott Tours Chauffeur Drive - Let us drive you. No one can make a region come to life better than our local qualified driver/guides. They can take you off the main route, to experience the real life of the area and introduce you to places you would miss when touring on your own. They can also point you to a local restaurant or find that shop that has just that keepsake that you have been looking for. You have a choice of sedan, Mercedes limousine, Rolls Royce or minibus, depending on your needs. Choose from intimate B&B's to 5 star resort hotels in Britain and Ireland for every taste and budget.